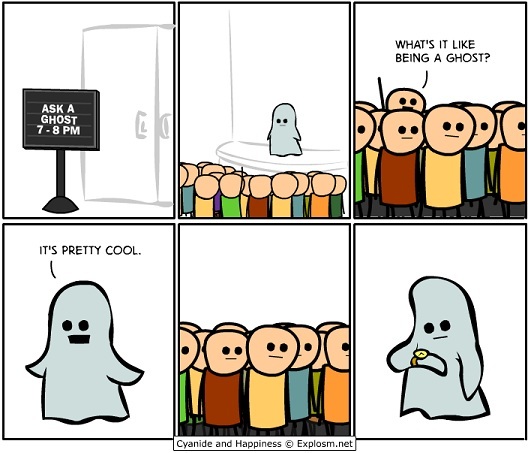 I grew up listening to my relatives talk about ghostly apparitions. As a child, I loved to go to my grandma's house where everybody would often gather to chat and visit, but the most interesting part of the conversation for me was every time the paranormal topics came up, like ghosts, apparitions, and UFO sightings (among others). The first paranormal account came from two of my older aunts (who lived through the Mexican Revolution). They said that, as young girls, they started using the Ouija board often. They both said that they used to invoke, unintentionally, the spirit of a priest which conveyed beautiful poetry; poetry that they starting writing in paper. However, the most important incident for them came when another alleged spirit asked for their help to convey a message to a loved one. They were provided with a name and an address so they did as they were told. To their surprise, they were able to corroborate the information they were given. I have heard other accounts from relatives that don’t have such a happy outcome. Personally, I have only used the Ouija Board a couple of times when I was in high school. It was kind of a creepy experience. I considered myself a skeptic first, so even if I see the pointer moving, the first thing that comes to my mind is that the other person is moving it or even me without realizing it. The old town (founded in 1750) is, to this day, a popular place for tourists to visit. My whole family has fond memories of their old town so, as a child, I spent a lot of time there camping with my cousins. We had a lot of fun hiking, exploring the ruins, visiting my grandparents' old house, and listening to all the stories. One of my aunts used to shoot some of the most interesting pictures. Maybe there was something wrong with her camera (which is what I think to this day) but more than once, strange blurry human shapes (of unknown origin) would show up once the pictures were developed. I remember taking one of these pictures to show it to my friends. We were all fascinated. Every single member of my family has seen a ghostly apparition. One of my uncles told us that one day he woke up in the middle of the night and saw my grandfather and my deceased uncle talking to each other without even noticing my uncle’s presence in the room. My mother also used to see a woman knitting in a rocking chair and looking through her bedroom window. There are endless interesting stories. I know a lot of people don’t believe in ghosts and will give any sort of different explanations to every single thing that’s said. I consider myself to be a skeptic; however, due to the source and my own experiences, I don’t have a doubt. I can’t explain the source of the anomaly and hate when ghost hunting shows start talking about energy and things they don’t even know but, I know very well that not because I haven’t seen the same thing than others have that means I am going to try to discredit them. I remain with an open mind always no matter how crazy the story might sound, even my own.